With a price tag of £8,226, Park Ward’s Continental Drophead Coupe ranked third in the most expensive priced car league at the Earls Court Show in 1960. At the time, the stunning Bentley Continental must be one of the finest modern touring cars to be produced by the marque, truly living up to the Continental name. 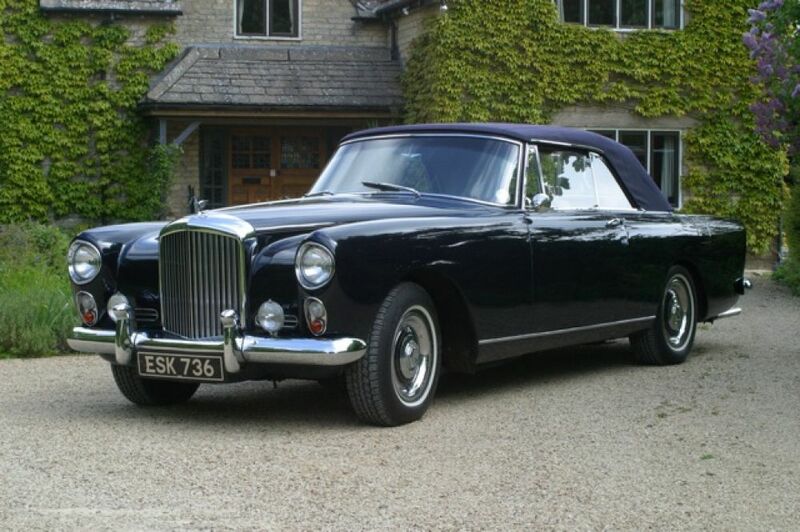 Magnificent in dark blue with tan Connolly hide and blue mohair electric hood, this most distinguished and stunning motor car was displayed by Bentley Motors on their stand at the 1959 Paris Salon, just 14 years after the end of WWII at a most austere time for the country through the 1950s. Imagine the Paris Salon being taken by storm by the announcement of this car. 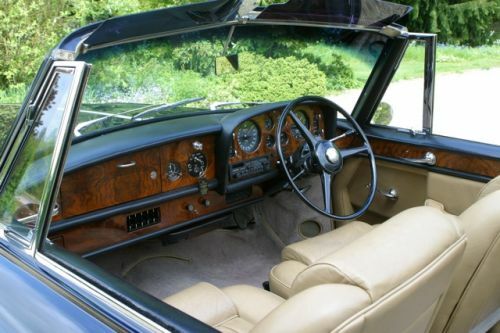 It was then retained by the factory as their flagship Bentley for nearly the entire S2 production run period until 1961, just 63 right hand drive and 61 left hand drive S2 Continental Dropheads produced, this car being displayed in their London west end showrooms. At this point H.R. Owen purchased the car, a W. T. Bird of Stratford upon Avon acquiring the car, registered PFS 1, only to return the car to H.R. Owen in 1962. The famous Ealing film comedy actor Terry Thomas of Queens Gate Mews, London SW7, purchased the car in 1962, keeping the car until 1967. Terry Thomas was famous for portraying an upper-class Englishman, appearing in several Hollywood films of the 1950s and 1960s, as well as ‘Those Magnificent Men in their Flying Machines’ in 1965. 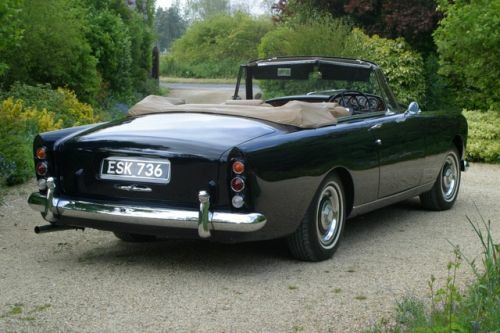 Possibly the car was sold then directly to fellow thespian Lawrence Harvey, who kept the car until his death in 1973. The car was then sold to a Mr Joe Wander who lived in the wonderful rust free environment of Los Angeles. He kept the car fully serviced at the reputed specialist Scott Motors in Los Angeles, completing an engine rebuild shortly before selling the car in 1989. Albert Theodore Powers, a lawyer in Hong Kong then acquired the car from P.J. Fischer Classic Cars, who had brought the car back to the UK. 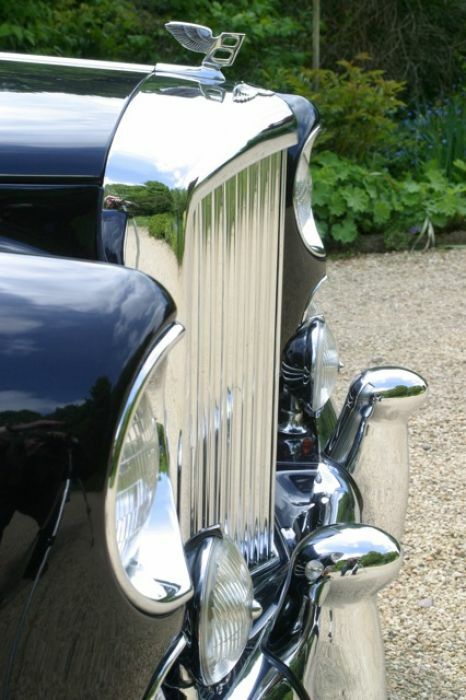 Mr Powers had the car totally restored to the highest standards by P.J. Fischer Classic Cars. He also opted for a mohair hood, fully integrated air conditioning, professionally fitted and trimmed seat belts, a Blaupunkt stereo with integrated speakers, and over carpets to original specification, as well as the present colour combination. 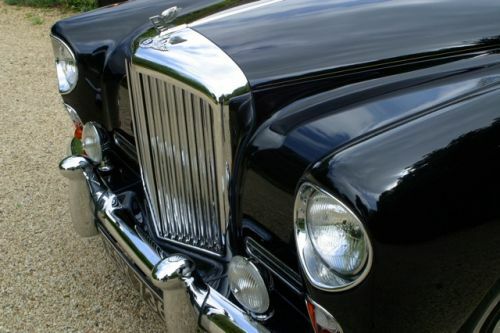 In 1992 Mr Powers exported the car for his use in Hong Kong, returning to the UK in 1995 with a recorded mileage of 124,000, some 4000 miles since restoration. P.J. Fischer Classic Cars then sold the car to the owner previous to the current owner, in Oxfordshire, and in the seven years to 2002 the car covered just 2,360 miles. Along with a full service, the current owner has had a new set of tyres fitted as well as a new windscreen, attention to the rear shock absorbers and the propshaft balanced, the mileage now c.128,000.